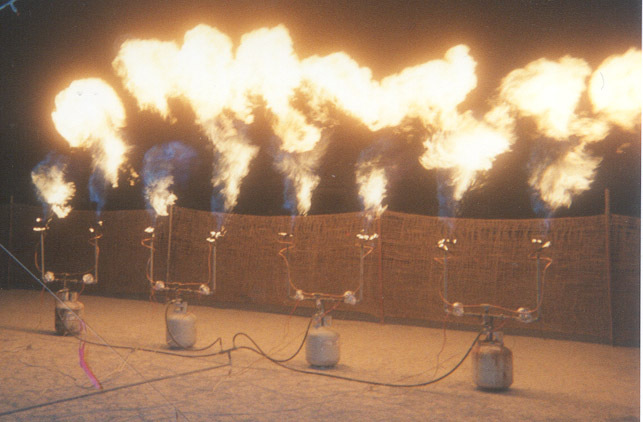 The Burninator Jr. is a small prototype of a set of computer sequenced flame nozzles which produces patterns and sequences of flame along the mechanism, and can be safely operated by a spectator. 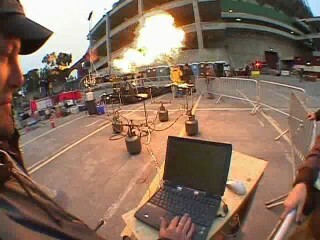 The computer control allows any or all nozzles to be individually fired at a very high rate of speed and in any pattern. 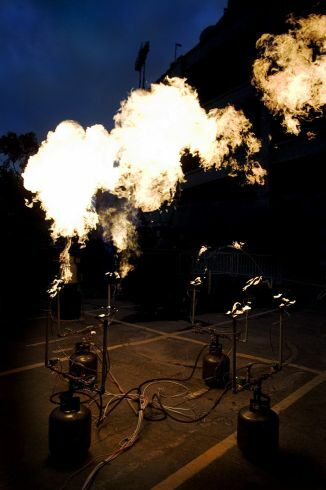 The resulting sequences can produce patterns of fire on the set of nozzles or sequences of explosions moving along the nozzles. 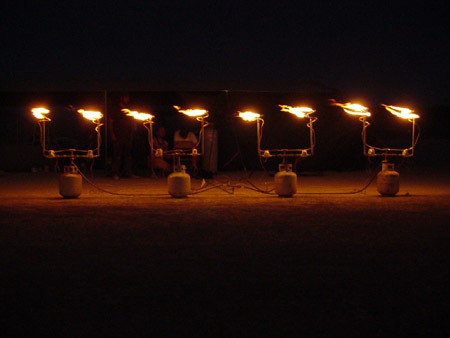 The Burninator Jr. originated as a prototype and test environment for a large scale installation ( the Burninator II ) first installed at Burning Man 2006. 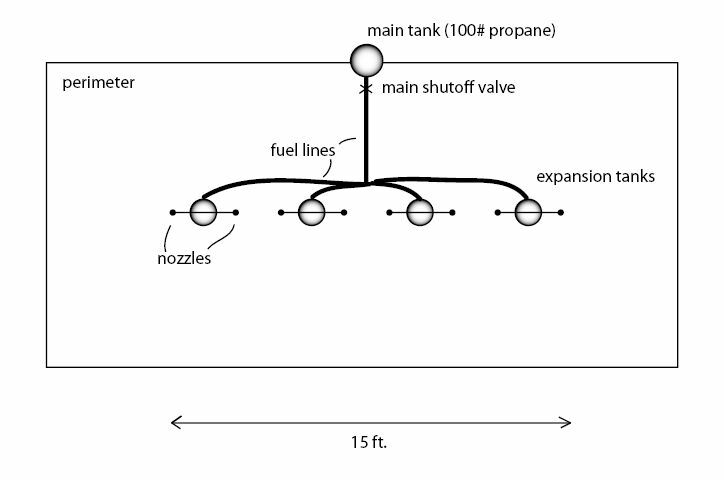 Propane supplied from one 25 gallon (100#) tank. 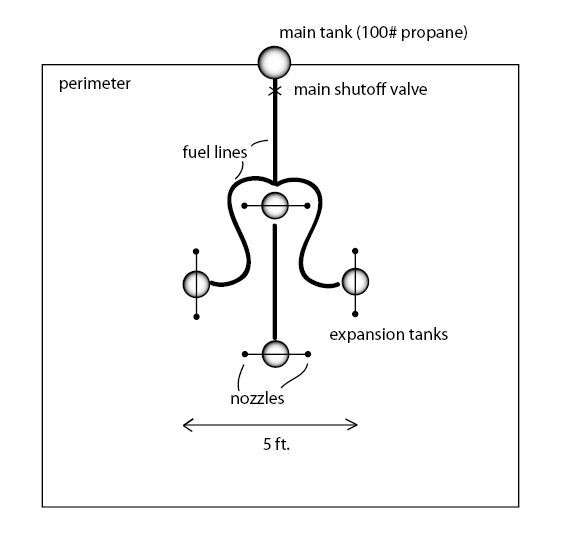 Operating height of flame is 10-15 feet. a main electrical cutoff switch will be located at the console. 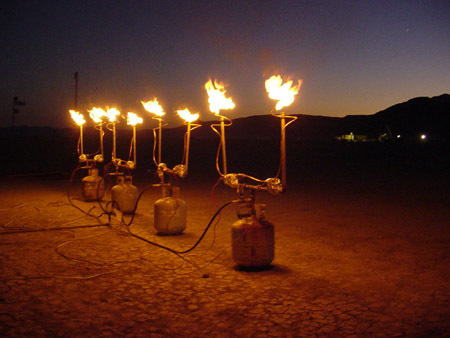 Bill Codding has built and displayed propane fire art at Burning Man, Decompression, the San Francisco Fire Arts Expo, the Crucible Fire Arts Festival, and other fire art festivals. 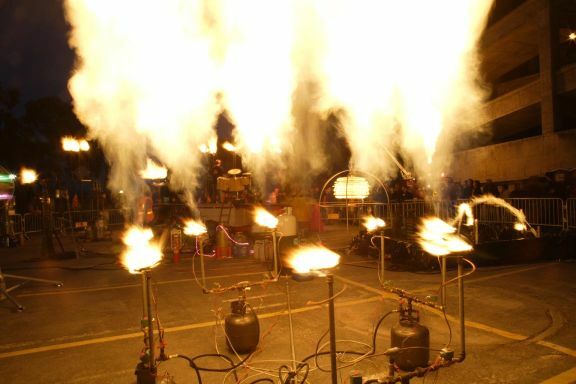 His work has been inspected and approved by the fire marshals of the communities in association with these displays, and he has held previous flame effects permits in association with those displays. 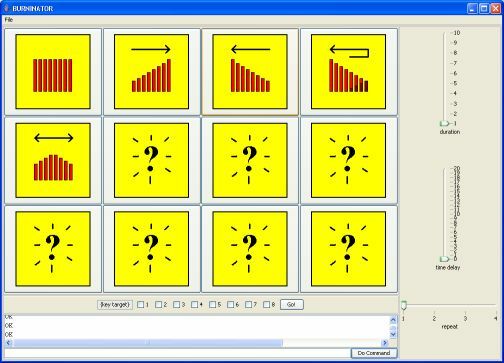 copyright ©bill codding 2005-2006. all rights reserved.